I have finished four days here in the city of Voronezh and am moving to the city of Uzlovaya which is a little over 3 hours from here. My work with the leaders of the union I work with extensively here in Russia has ended. It was a good three days of planning, dreaming, thinking, praying and fellowship as we looked into what God has in store for this network of churches, looked at what an apostolic-prophetic network and local church would look like, and even prophesied over half of the leaders present for the meeting. Each night I preached to a full house and then prophesied over a number of young people. The prophetic anointing was extremely powerful and many people were seriously touched by the power of God and the words that God spoke over peoples’ lives. I am always amazed at what the Lord says and does. It was fun training some new people – two young brothers from a Pentecostal church where the gifts are not flowing and not welcome; a man from Moscow who is an elder; a man from Voronezh who will soon be an elder in his church. All four made serious steps forward in the use of the gift of prophecy. Today I relocate to Uzlovaya, a city 3+ hours from Voronezh where I will share some fellowship, talk to a few people and catch up on their news (my third or fourth visit to this church), and minister to the pastor and his wife in whose apartment I will be staying. Then Sunday I will preach and minister at a morning service (4 hours) and then a leaders meeting in the afternoon. I head to Moscow (4 hour drive) after the meetings as I have a 4:00a arrival time at the airport to begin the journey home on Monday morning so always arrive late the night before due to traffic issues in this city of 20+ million. Your prayers for the Sunday service would be greatly appreciated. As the trip winds down I am tired and although the anointing is strong sometimes the flesh is tiring of constant 18+ hour days. Your prayers for refreshing and the lifting of weariness would be greatly appreciated. My apologies for several blogs missed this week – time has been seriously short and in great demand. And, there is no picture with this post as my administrator who posts them is away for 24 hours for family reasons. The Brownsville Assembly of God in Florida’s Panhandle was home to the Brownsville Revival for six years. 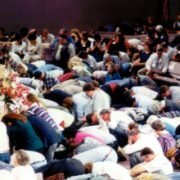 It saw countless healings and miracles in the mid- to late-1990s, but the church is currently struggling to survive as it is entangled in a large debt. According to the Associated Press, the Brownsville Revival, also known as the Pensacola Outpouring, drew as many as 5,500 people a night for six years; estimates put the total between 2.5 million and 4.5 million people. The church saw donations pour in as it added staff, built an enormous new sanctuary and opened a school for preachers. It has been a long day. It started with joint prayer at 7:00a, breakfast at 8:00, leaders meeting (heated and passionate at times and never boring) from 9:00a to 5:00p and then a quick supper, drive across town, and an evening service while the leaders continued to work in the retreat house we have invaded and taken over. The service went from 6:00 to 9:30p. Informal fellowship over left-over supper when we got back with just three of us – interpreter, driver and myself – as the leaders meeting was still in progress. Skyped with several young guys I am discipling in Armenia and Ukraine and then to bed – tired at 1:00a. Tomorrow (Thursday) the schedule is 100% the same … The topic for the leaders is looking ahead to 2030 and to imagine what their churches will look like. This they will do by looking to the Bible to see what the early church was like and how it functioned. Today we simply looked honestly at what is existing at this point. 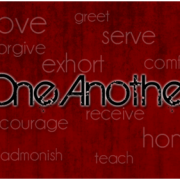 Then Friday we will look at how to get from where we are to where we believe God would have us. It is good apostolic work of laying new foundations for increased effectiveness and accomplishing God’s will. Pictured about – teaching my driver (an elder in Moscow) and an elder here in Voronezh – to prophecy over one of two brothers who attended the first evening service coming in from another traditional church. They found out that they were an apostle and prophet to be working together and I am meeting with them later Thursday night to help them to get started on this new journey. Thanks for praying – your prayers are greatly appreciated and treasured greatly. 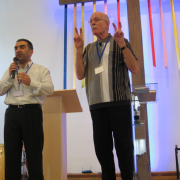 You are a vital part of what the Lord is doing here in Russia and my continuing work in Armenia. Please pray for some connecting work I am doing with a well-established apostle in Ghana, Africa as I want to travel with him for a few weeks to learn from him and build some new relationships. He is a very experienced and wise man of God. It is Wednesday in Russia and I have had two great days – seriously great days. The Lord has been gracious and powerfully present and touched many lives. On Monday – after having a number of lengthy meetings planning future and current work in Armenia – I spent time touring the memorial to those who died in the early 1900’s when Turkey invaded Armenia and murdered millions. Then in the evening I met with the Timothy School at the local church where I was working. The Timothy School (picture) is a group of 25 young men who study one night a week with the pastor and are being discipled and trained by him. A powerful group of young men hungry for God. I shared briefly what the Lord is doing in the nations of the world and what He is emphasizing and then prophesied over 8 of them. The rest the Lord had already graciously pointed out to me over the previous days during the Leaders School and Sunday services. These are the leaders-in-training and this church has a great future. What a night. Three hours sleep and I was on my way to the airport. Three hours plus and I was in Moscow and 7 hours plus I had been driven to Voronezh – a city in Russia I have ministered in a number of times. There I had my initial meeting with 12 of an eventual 17 leaders who will be here to discuss the future of their union and what is needed to bring change and new life to their union of 107 churches. A long but a good day. Wednesday – today here already – I meet all day with the leaders casting vision and seeing how we can address issues that exist in the union. Then in the evening at 6:00p a public service. I will do the three + hour service while the leaders stay here and work on details for several events upcoming that I don’t need to be involved in. I have been asked to speak into the discussion after they hash out some of the working details. I have become the “father” of this union’s changes and entrance into the 21st century as an apostolic-prophetic force God can and will use. Please pray for the public service – people have been encouraged to invite unsaved friends. Your prayers are greatly appreciated. 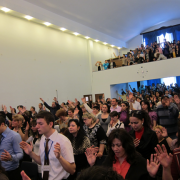 I am currently in Yerevan in the nation of Armenia ministering to a church of 500 who are seriously hungry for the Lord. 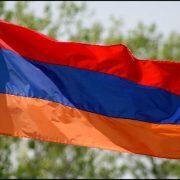 As you read this my Sunday will have ended with services in the main church in Yerevan as well as in the evening at a satellite church in Ararat – the site of the final resting place of Noah’s arc. It has been a very busy week but much has been accomplished for the Lord and His Kingdom. Tuesday morning I leave for Russia where I will be working for a week with the leaders of a major network of churches to continue to help them as they design and reach forward into their future.